After growing by 7 percent, the number of employees has reached a record high of more than 25,500.
Business remains stable: EBITDA is EUR 587 million, and operative cash flow is EUR 419 million. In Austria, the payout of winnings to customers totals around EUR 1.1 Billion. The Group is making material adjustments: depreciations, one-off effects and provisions have an effect on profit. Investment volume (including acquisitions) was around EUR 650 million. Innovative technical player protection measures: successful introduction of a fingerprint access system in Austria and a facial recognition access system in Germany. 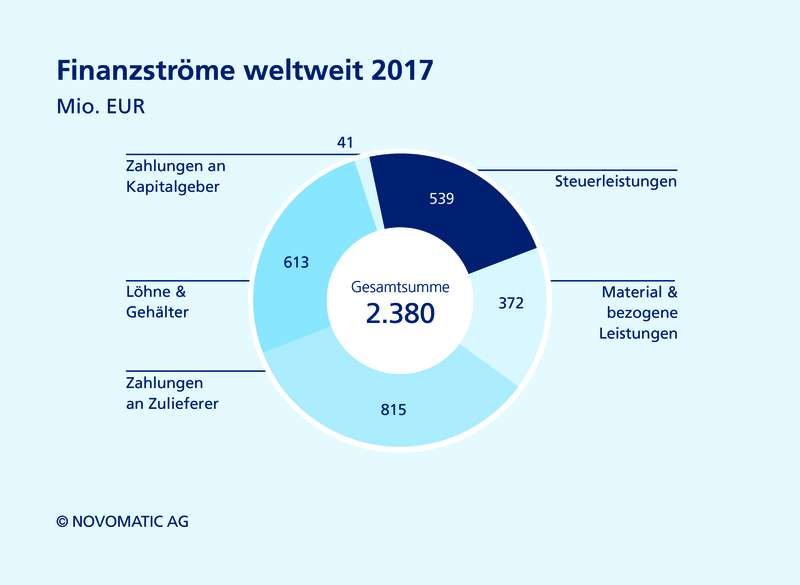 NOVOMATIC Group (NOVOMATIC AG, ACE Casinos Holding AG and Gryphon Invest AG) achieved total sales of around EUR 4.9 billion for the first time. 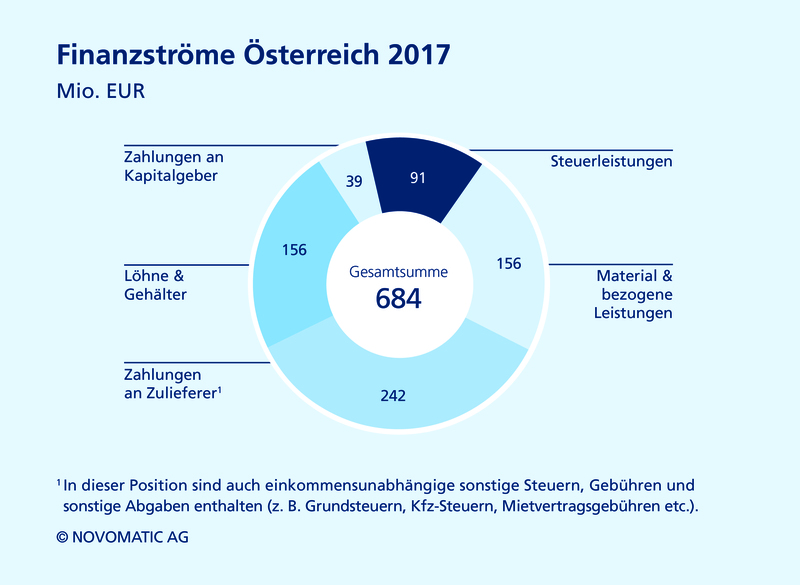 Gumpoldskirchen, 27th April 2018 (OTS) – In 2017 fiscal year, Austria’s largest and internationally active gaming technology group NOVOMATIC AG increased sales by 11 percent and reached record revenues of EUR 2,527 million (2016: EUR 2,274 million). The Group’s main segments are Gaming Operations and Gaming Technology. The Gaming Operations segment, in which the company operates gaming devices across the globe, increased revenues to EUR 1,587 million (2016: EUR 1,326 million), equal to 63 percent of the total revenue. In terms of the Gaming Technology segment, in which the company acts as a producer and technology supplier for the gaming industry, sales during the reporting period reached EUR 937 million (2016: EUR 947 million). In total, NOVOMATIC now employs 25,536 employees around the world (2016: 23,849), with approximately 3,300 of those jobs based in Austria. During the reporting period, a total of 223 companies were consolidated on the balance sheet. In Austria, during the year under review, payouts to customers increased to around EUR 1.1 billion (2016: around EUR 1 billion). The payout ratio for gaming machines is regulated by law and must be between 85 and 95 percent in Austria. 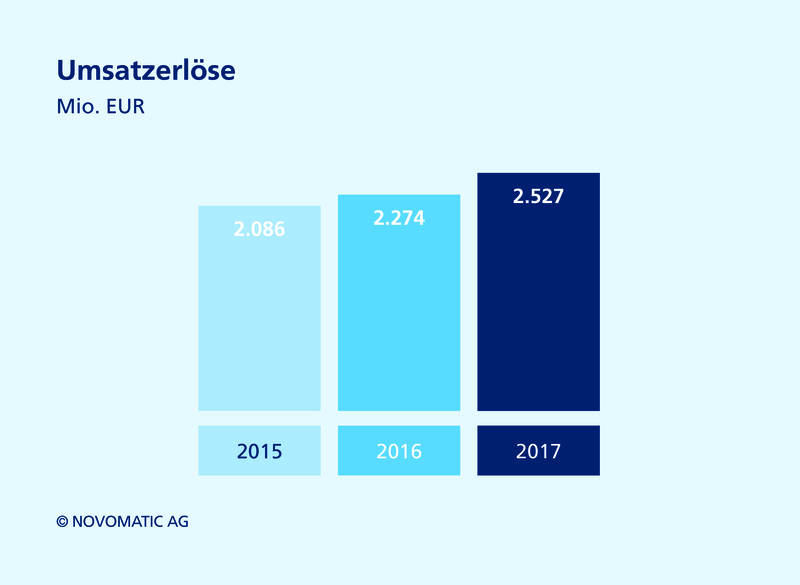 It’s not just customers – the Republic of Austria can also celebrate – tax and duty payments from NOVOMATIC rose to a new high of EUR 91 million in Austria (2016: EUR 85 million). This includes social security and gaming taxes, betting fees and income tax. Globally, the company paid a total of EUR 539 million in taxes and duties (2016: EUR 426 million). During the year under review, the operational cash flow reached EUR 419 million, therefore, remaining stable compared to the previous year at EUR 429 million. The EBITDA also remained stable at EUR 587 million (2016: EUR 586 million). “Spain was a growth driver, with an increase in sales of over 50 percent, but other core markets, such as CEE, Italy and Great Britain also performed well in 2017,” said Harald Neumann, CEO of NOVOMATIC AG, summarizing the results. 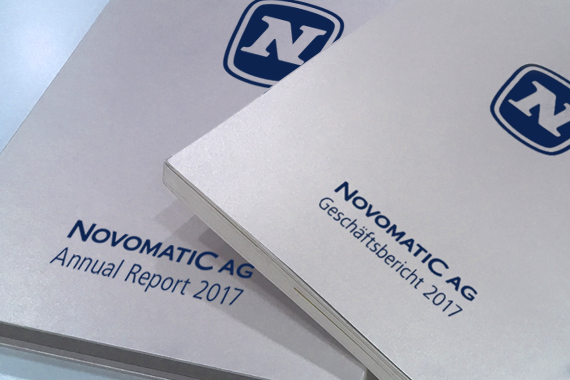 In 2017, NOVOMATIC carried out an intensive economic evaluation. As a result, one-off effects were added to the balance sheet as reflected in increased depreciations. This is largely due to the implementation of new regulations, such as in Germany, but also due to depreciations that were necessary for several international Group subsidiaries, as well as foreign currency losses. In addition, provisions were increased in order to compensate for potential future losses from individual associated companies. For the 2017 reporting year, the consolidated net income after tax amounts to EUR 61.4 Million. In terms of Corporate Responsibility, a Group-wide System of key figures was implemented for the first time in the areas of protection of players and minors, employee issues and environmental concerns, as well as NOVOMATIC’s social contributions. In addition, an innovative fingerprint access system was introduced at ADMIRAL Casinos & Entertainment AG in Austria in 2017, as well as the facial recognition access system CLEVER ENTRY at LÖWEN Entertainment GmbH in Germany. The internal evaluation made it clear that there is still great potential to be found in consolidation efforts, many of which have already begun. “After rapid growth over the last few years, in particular through the acquisition of companies, the time has come to optimize internal processes and structures on an international level. It’s the best way to prepare for the future,” said Neumann, explaining the management decision to focus on consolidating growth and increasing synergies in 2018. Together with the two Swiss affiliates ACE Casino Holding AG and Gryphon Invest AG, NOVOMATIC reached a cumulative revenue of EUR 4.9 billion and has a total of around 30,000 employees across the globe.